A close investigation of the varied iterations of the human figure from 1870 – 1970, a period of sweeping change in art. The selection of paintings, sculptures, textiles and works on paper by such seminal and diverse artists as Picasso, Rodin, Giacometti, Kokoschka, Cassatt, Renoir, Degas, and Lipchitz from the foundation’s holdings of European and American art affords a thoughtful look at the evolution art through the locus of the human figure. 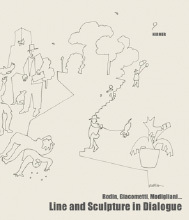 Line and Sculpture in Dialogue reproduces more than fifty works of art held by the Kasser Mochary Foundation, among them Rodin’s L’Éternelle Idole and works by Cézanne, Chagall, Picasso, Degas, Matisse, Modigliani, and Giacometti. With a focus on sculptures and graphic art, the volume offer new perspectives on modernism and demonstrate the movement toward abstraction. This volume offers a fascinating look at the development of new methods and styles within 20th Century sculpture. 395 pages |color illustrations | hardcover. In English and German. 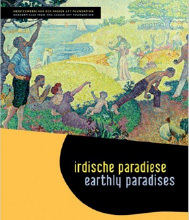 The yearning for earthly paradise is reflected in many of the masterpieces in this exhibition catalogue of the Art Collections and Museums in Augsburg. The Kasser collection comprises important works by artists such as Rodin, Signac, Monet, Renoir, Jawlensky, Pechstein, Cezanne or Matisse. With short essay and full provenance of each work of art. With essays by Peter T. Furst, Margaret Young Sanchez, Joanne Stuhr, Martha Turok. 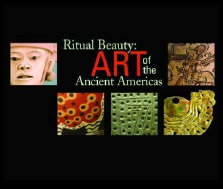 Ritual Beauty paints a portrait of social, political and religious life in the ancient Americas, the setting in which these exceptional works of art were created. An overview of the PreColumbian world prior to European contact by Joanne Stuhr is followed by essays on Mesoamerican and Andean cultures, shamanism, and textile arts that contribute important scholarship from eminent experts in the field: Peter T. Furst, Margaret Young Sánchez, and Marta Turok. The volume is richly illustrated and annotated with artifacts from both Mesoamerica and the Andean region and the readable and informative essays are suitable for the layperson as well as the scholar. 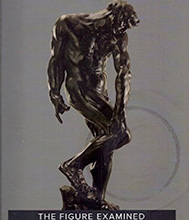 An illustrated catalogue of selections from the Kasser Art Foundation Collection.